Jakarta DPRD Commission B, held a discussion meeting about General Budget Policies and Provisional Budget Ceiling and Priorities (KUPA-PPAS) related with Regional Capital Investment (PMD) on Regional-Owned Enterprises (BUMD).
" PMD proposal for BUMD must be clear"
Based on Beritajakarta.id, the meeting begins with the presentation of priority programs, assignment projects, business plans, and breakthroughs of each BUMD. Jakarta DPRD Commission B Chairperson, Yusriah Dzinnun expressed that there should be a review and analysis related to the proposed PMD. "PMD proposal for BUMD must be clear. 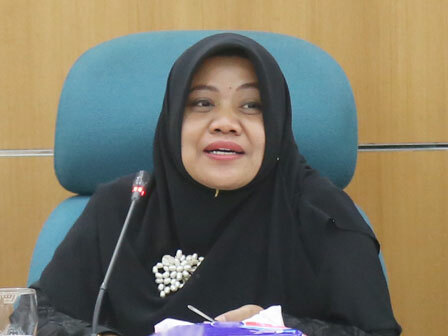 This also concerns the amount of dividends given to Jakarta Provincial Government," she stated, at City Council Building, Jalan Kebon Sirih, Gambir, Central Jakarta, Tuesday (8/15). She explained total amount of PMD proposed was Rp 10.1 trillion. Its amount was close to 15 percent of City Budget (APBD). "This is the highest amount for Jakpro and MRT. Jakpro has been assigned to prepare infrastructures of Asian Games and LRT. While, MRT needs PMD for development," he explained. From meeting results, she added, would institutionally be decided by Banggar. "It's still a commission meeting, and we are not decision makers, but we are part of the path that must be lived," she closed.